Lawrence M. Friedman is Marion Rice Kirkwood Professor of Law at Stanford University. 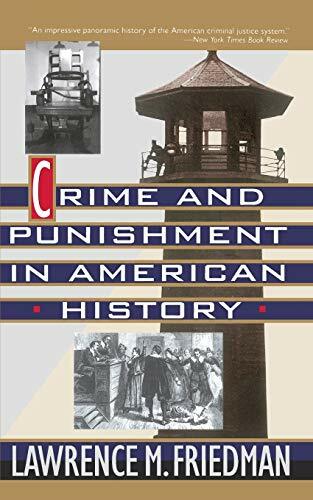 A social history of American criminal justice that offers not abstruse legal analysis or philosophy, but the practical story of ``a working system and what makes it tick.'' Friedman (Law/Stanford) argues that ``judgments about crime, and what to do about it, come out of a specific time and place.'' Thus, he links the criminal-justice systems of different periods of American history to varying characteristics of American society. Colonial courts, for instance, because of their religious orientation, punished not only crimes against persons or property but also acts of private immorality that would no longer be classified as crimes; moreover, these courts relied primarily on public punishments emphasizing shame (such as confinement in the pillory or stocks) rather than on incarceration. Surveying 19th- century criminal justice, Friedman explores the impact of the disenfranchisement of blacks and women; the increasing mobility of society; and the changing role of morality. Similarly, the 20th century has witnessed an enormous increase in the creation of regulatory crimes (particularly in the fields of taxation, securities, and antitrust regulation). Friedman contends that the more permissive, individualistic culture of 20th-century America has qualitatively changed types and motivations of violent crime: In a phenomenon inconceivable in the more disciplined, self- controlled societies of the past two centuries, today's people often commit crimes in order to give themselves a sense of self- worth (``crimes of the self''). After grimly surveying the explosive growth of crime in postwar America, Friedman sadly concludes that, because of rapid changes in society, and despite public obsession with the crime issue, ``we are likely to bump along more or less as we are.'' An absorbing and thoughtful study, scholarly but told in a folksy, unpretentious style. -- Copyright ©1993, Kirkus Associates, LP. All rights reserved. 6. 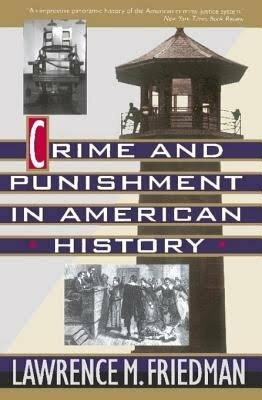 Crime and Punishment in American History Friedman, Lawrence M.